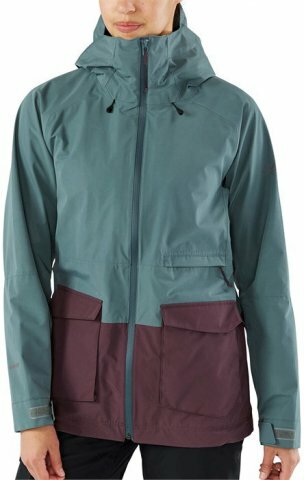 The Dakine Remington Pure 2L Gore-Tex Jacket comes with a 2 layer Gore-Tex that should keep you dry in any situation, it seems really well made, there are a lot of storage options, although the designated phone pocket was pretty small, you have a lot of other choices on where to stash it. The hood fits pretty well with a helmet, and I love how long the arms are. This jacket looks great, feels light, doesn’t have the loud Gore-Tex sounds when you move, and you get the amazing waterproofing of Gore-Tex with room to layer under the shell. We try to get as many images of the Dakine Remington Pure 2L Gore-Tex, but forgive us if they're not all there.